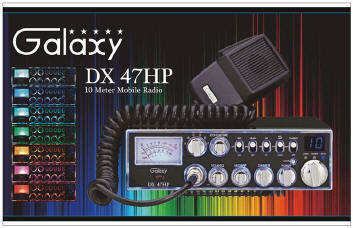 New in 2012-13 Galaxy Dx47HP 10 meter radio. All the best features in one low cost radio. 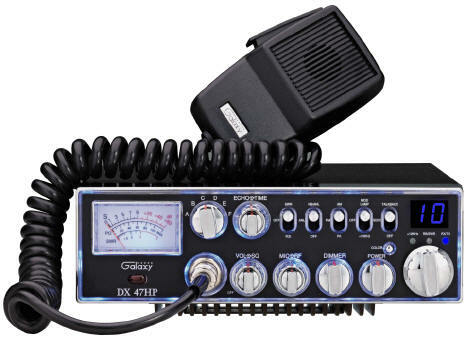 Some features in the Galaxy Dx 47 HP are a large galaxy meter, backlit with 7 selectable colors, SWR meter, Blue LED's, echo and 100w+ output.